LA Social Karma Ranks Among Top Companies on Clutch! Clutch recently released the leaders of top Branding & Design agencies, and we couldn’t be happier to be included, as an official California Branding Leader! 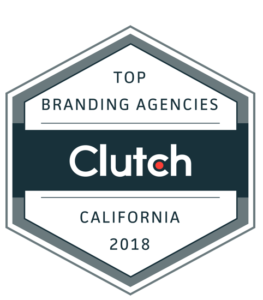 Not only are we a branding leader for the whole state, but we also set ourselves apart be being highlighted as a top Los Angeles agency for advertising! It is so nice to see all the hard work and effort we put in this year end with all these accolades. Clutch’s affiliate site, Visual Objects, also took notice of the work we have done this year. Not through our reviews, but mainly our portfolio items, and we clinched one of the few spots on their platform as well. From just one year of working with Clutch, we are ecstatic with the visibility we have gained and our overall rating of an impressive 4.5 out of 5 stars. We also couldn’t be prouder of the amazing things our clients had to say about us, and we are so grateful! We are very excited to be included in Clutch’s press release and we are excited to continue our work with them in the upcoming months and New Year! Be sure to check out our full profile on Clutch here!